In collaborative divorce, spouses cooperate to settle matters related to the dissolution of a marriage. Collaborative law is a dispute resolution approach that uses civil, non-adversarial methods to resolve conflicts between opposing parties. During a divorce, collaborative law principles can help parties resolve issues out of court. For example, rather than spending hours in court resolving issues such as alimony, spouses can negotiate settlement terms through a collaborative divorce attorney in Buffalo Grove. Collaborative divorce allows parties to discuss issues and arrive at an agreement on their own. This approach can be especially helpful with issues such as property division, because spouses often have intimate knowledge of these matters. Is a Trial Still a Necessity After a Collaborative Effort? A main goal of a collaborative divorce is to keep parties from spending large amounts of time and money in the courtroom. 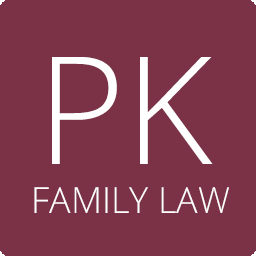 In many instances, spouses can hire a family law attorney in northern Illinois and resolve all issues and present a finished agreement to the judge. The presiding judge can finalize these agreements in the form of a divorce decree, thereby ending the marriage. However, if outstanding issues remain after a collaborative divorce effort, spouses may need to resolve those issues in the courtroom setting. Going to court after a collaborative attempt doesn't require as much resources or time as a full trial, but it can make the divorce process take longer. Do Spouses Need a Lawyer's Help During a Collaborative Divorce? Although most of a collaborative divorce happens outside the courtroom, both parties should still hire their own legal representation. A spouse should hire a collaborative divorce attorney in Highland Park if they need assistance with family law issues; these lawyers can provide representation and guidance throughout the collaborative process. A collaborative divorce attorney in Lake County IL can help clients resolve issues, and they can tell the client about their options under state law.